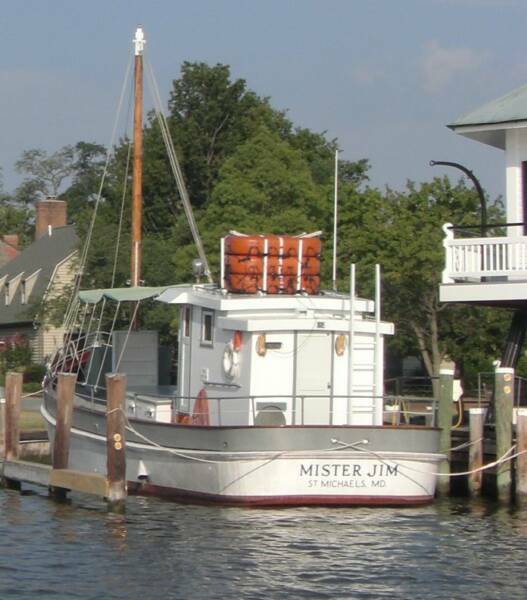 Mister Jim is pier side at the Chesapeake Bay Maritime Museum in St. Michaels, Maryland. Mister Jim is replica buyboat, she was built to resemble oyster buyboats of the past and does underway tours. For information on tour schedule call 410 745-2916.